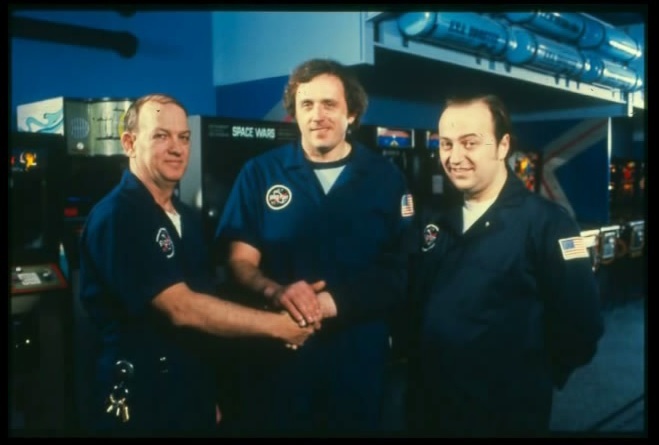 Spaceport was an East Coast mall arcade chain active in the 1980s, competing with Time Out and Aladdin’s Castle. The interior was designed to resemble the inside of a spacecraft, with “escape hatches” protruding from the ceiling, cylindrical “E.V.A boosters” lining the walls, and various future-forward portals and struts that contributed to “the pleasant and beautiful surroundings… carefully planned by the leading architects and space planners of the industry.” Employee uniforms were modeled after NASA jumpsuits—the first Space Shuttle launched on April 12, 1981—and featured patches of the Spaceport logo and a U.S. flag. 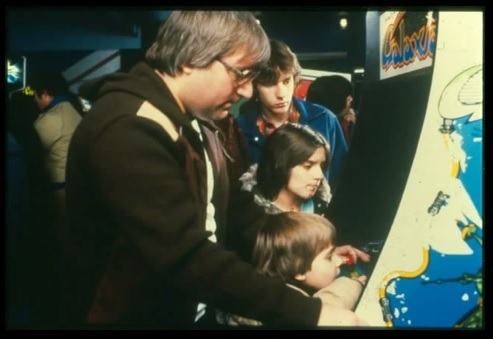 This employee training video, simply a slide show with voiceover narration, offers a glimpse into the early arcade industry and attitudes toward young people and youth culture at the time. 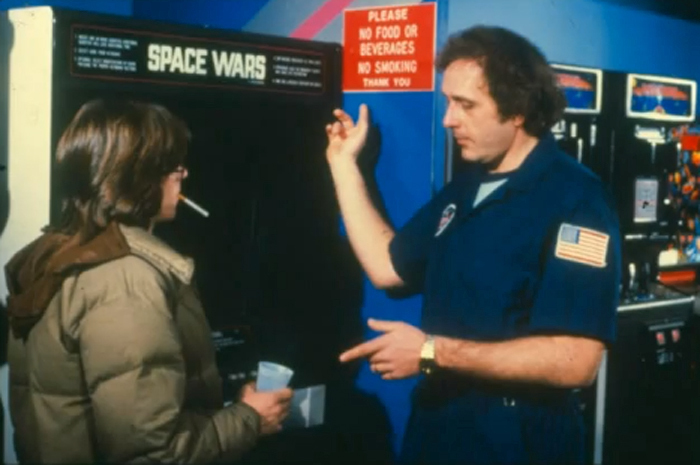 While arcades became massive money-makers following the release of Space Invaders in 1978, the establishments very quickly became unpopular with adult neighbors and moral crusaders, who complained of noise, drugs, and various “disturbances.” Curfews were instituted, and, in some cases, video games were banned. Spaceport was one of the first chains “geared to attracting families shopping in the mall, offering them a clean, pleasant, fun-filled environment to enjoy with their children,” and the company made a concerted effort to reverse the popular perception—largely fantasy—of arcades as havens for unruly teens. You should never use physical force yourself unless the offender strikes you first. 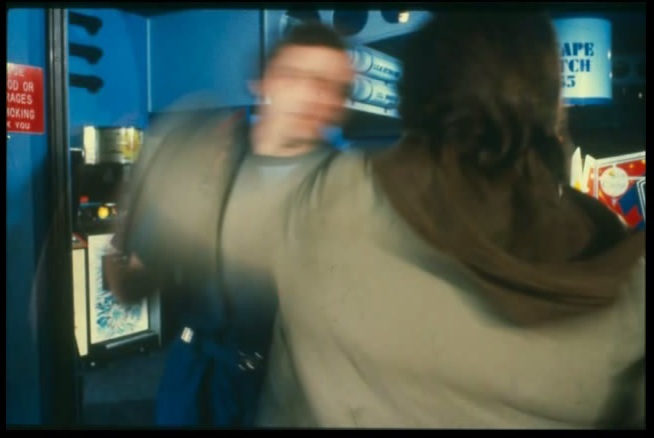 Then use only the amount of force you feel is necessary to protect yourself, other patrons, and the store itself. 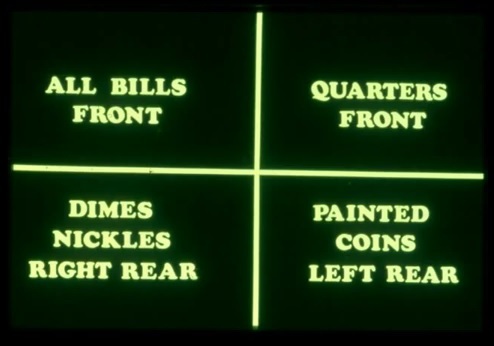 The demise of arcades—a 1981 video game developer described them as “a kid’s country club“—was the final knell of a deeper tragedy: the physical spaces that once allowed young people to congregate, be independent, and come to terms with conflict have been eliminated by a generation of adults who grew up taking them for granted. We had one of these in the Shore Mall in Egg Harbor Township NJ.I went in this place from the late 70’s through the turn of the century and I never once recall seeing an employee.The arcade and the mall itself are now a parking lot. 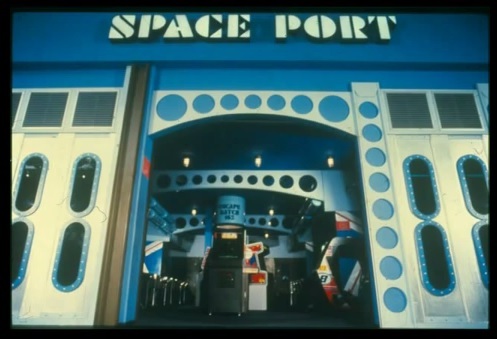 I wish they’d made an effort to design our Westside L.A.’s arcades like Spaceport back in the day. But I guess it was enough of an attraction to have arcades in the neighborhoods and malls anyway, so they never bothered putting any more creative thought to them. 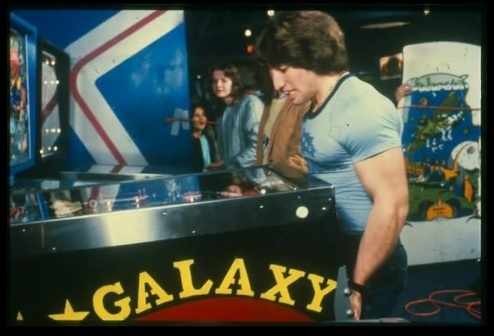 Ok, I’m off to check out the slideshows…but before I go, in reference to the Schenectady Gazette article—I didn’t know that the Galaxian (or Galboss, lol) made an appearance in Pac-Man. Then again, I didn’t really know anyone that was good at the game. That’s pretty cool.